A wage hike of 2.3 % or HK$4,410 (P28,730.30) will be effective for the HSWs who will sign the new contract, according to south China Morning Post. Tataasan ng 2.3 porsyento o papalo na sa ang sahod ng mga kasambahay sa Hong Kong na may mga kontratang pipirmahan sa Sabado o pagkatapos nito, ayon sa ulat ng South China Morning Post. For the HSWs with old existing contracts, the Immigration Department will handle the process of application for their wage increase. The application has to reach the department by October 27. More so, the food allowance that has been given instead of free meal stated in the HSW contracts will also be increased to HK$16. From the previous HK$1,037 (P6,755.86) the food allowance will be increased to HK$1,053 (P6,860.09) per month. 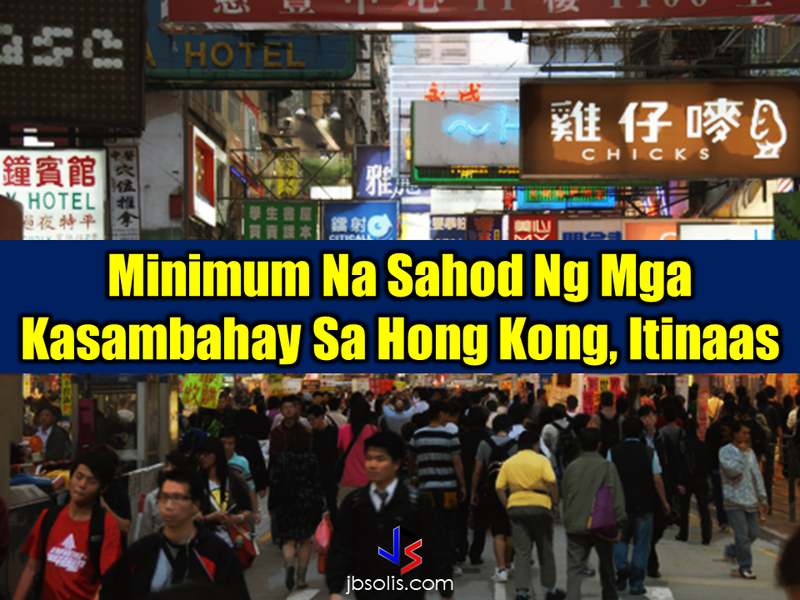 On September last year, the minimum wage for Hong Kong HSWs has previously had increment from HK$4,210 to HK$4,310. 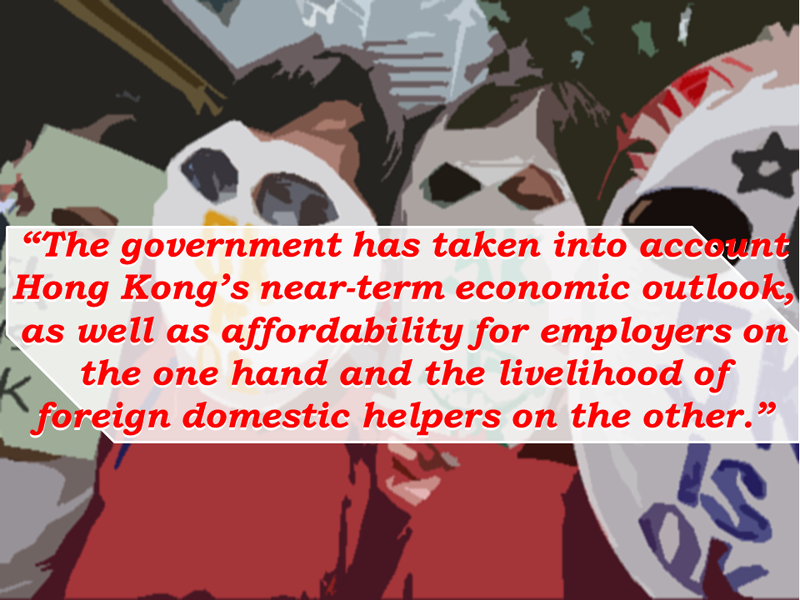 There are 350,000 foreign domestic workers presently deployed in Hong Kong, more than 50% of them are Filipinos .